AAMA offers professionals, manufacturers and even homeowners access to a wide array of valuable information. And, we remain an invaluable source for our members looking to gain a competitive advantage in the marketplace. The following resources are available from AAMA, as well as information on other relevant industry issues. AAMA publishes a glossary which is an all-encompassing guide to be used when referencing definitions in all AAMA documents. These definitions were compiled by researching all current AAMA documents and extracting the definitions. This glossary was approved by the AAMA Document Management Committee. To download a free version of the glossary, click here. Throughout our long history of industry leadership, AAMA has become recognized around the world for the development of comprehensive standards, technical documents and market research. Begin your search in our online Store. The AAMA Virtual Library (AVL) is a licensed program for AAMA member companies, offering electronic versions of AAMA publications for use by their employees in an effort to make AAMA’s technical information resources more readily available. This program is currently available to AAMA Category I, Technical Consultant and Professional Members. To learn more about this program and obtain the license agreement, visit the AVL page. Through free brochure downloads, AAMA offers valuable information focused on specific industry concerns related to windows, doors, skylights, curtain wall and storefronts. View these brochures dealing with maintenance, green building, safety and more. Green building initiatives are a top priority within AAMA, thus we are proactively involved in green building organizations, leading the charge for fenestration products and their impact on the building’s overall green performance attributes. This includes information related to the American Recovery and Reinvestment Act (ARRA), also known as the economic stimulus package. Click here for news, events, links and other green resources. AAMA keenly monitors activities of other associations, trade shows and publications targeting the fenestration industry. Industry links are provided as a resource to learn more about windows, doors, skylights, curtain wall and storefronts. 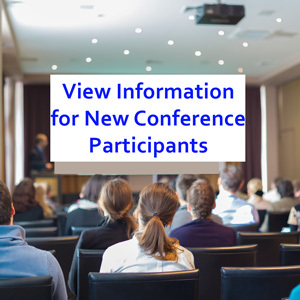 AAMA members can view meeting materials for AAMA National Conferences as well as minutes and presentations from conferences and Southeast and Western region meetings. You need to be logged in to view this content. Window Safety Week, recognized every year during the first full week in April, serves as an reminder of recognizing the importance of window safety and fall prevention year-round. This week is designed to heighten the awareness of what parents and caregivers should do to help keep their homes and families safer from the risk of accidental falls or injuries through windows. Read more about window safety and fall prevention.